So you’re planning a vacation in Namibia? 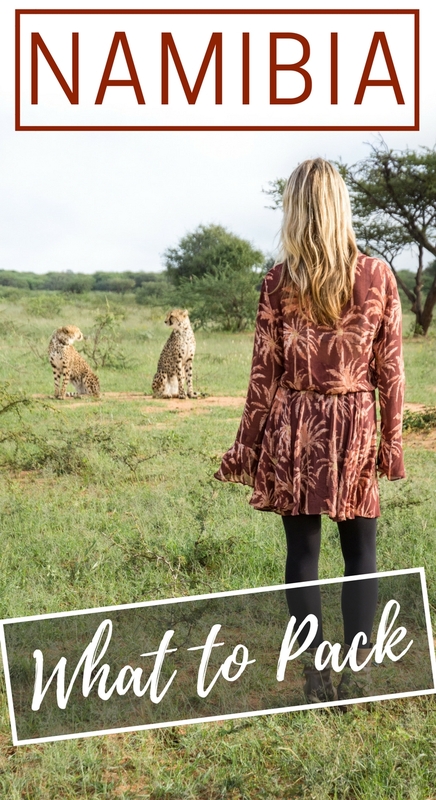 With wild animals grazing right along the road and tribal people that invite you into their villages to witness their honored traditions, a trip to Namibia is truly an experience of a lifetime! Follow our packing guide so you’re prepared for anything and everything you may encounter along your trip. 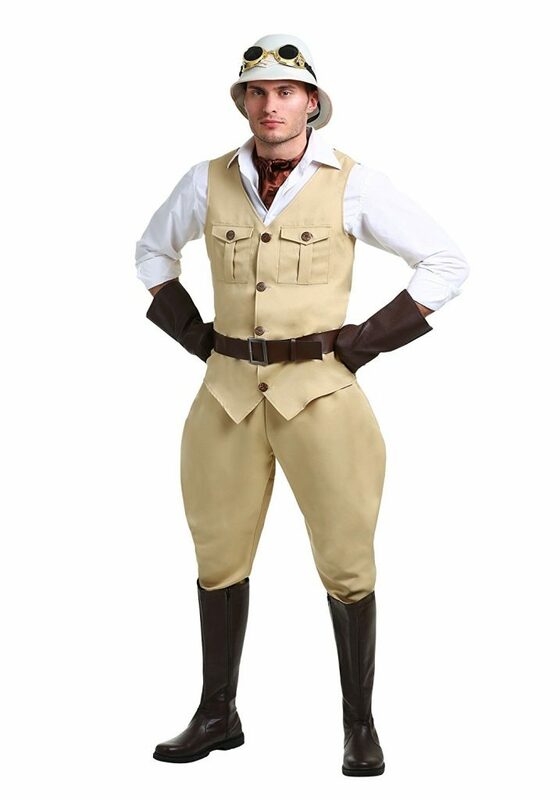 You are free to wear whatever you choose while vacationing in Namibia. You’ll encounter locals wearing both Western-style attire as well as traditional tribal dress. Everything that you bring will be covered in dust by the time you leave. Don’t bring anything that you don’t want to get dirty. Opportunistic crime is an occasional occurrence so leave expensive jewelry at home. Smash and grabs are also fairly common in Namibia so always keep your luggage locked in the back of your truck and out of sight. The climate in Namibia is pleasant year-round and can be visited pretty much any time of the year. The dry season is May to October and is the best time for viewing wildlife as the animals gather around the watering holes. But it is also high season so you will need to book your car and accommodations well in advance. 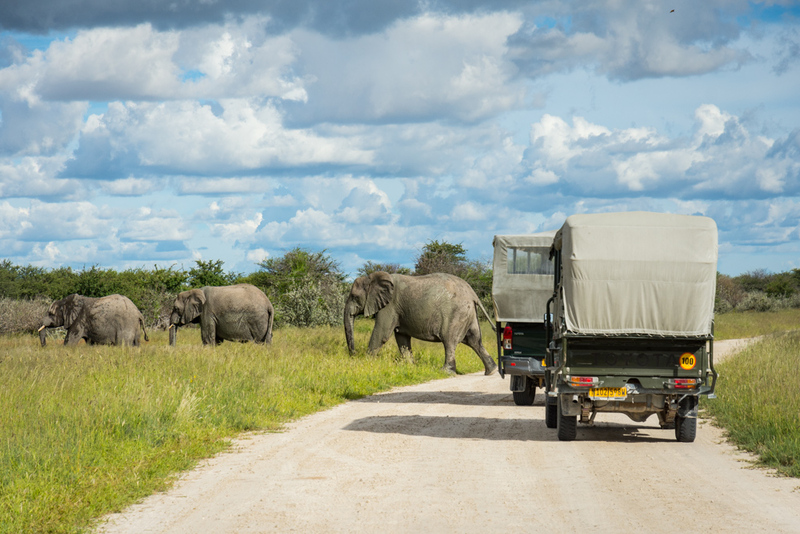 The wet season is between December and March so the animals will be more scattered throughout the parks which will lower your chances of spotting them easily. April and May experience very moderate temperatures with little or no rainfall and October to February can be very hot. 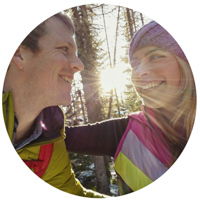 Regardless of the time of year that you visit, you’ll want breathable clothing for the unrelenting mid-day sun, clothing that will cover you for the mosquitoes that come out around sunset, and clothes that you don’t mind getting filthy. 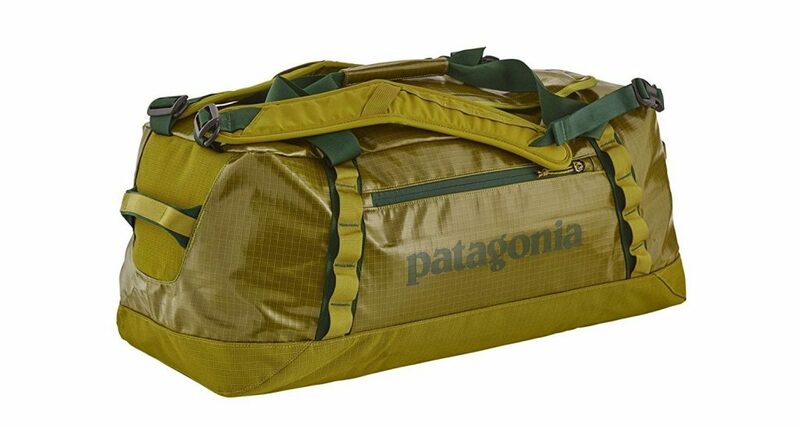 The durable Patagonia Black Hole Duffel Bag is highly water-resistant, super durable, and seals up tight. So you don’t have to worry about all of your clothes getting covered in dust or that all the bumping around on the gravel roads will damage your bag in any way. Plus it has removable backpack straps so you can carry it as a duffel or a backpack. And with a wide, u-shaped main compartment, it’s easy to find what you’re looking for. Check out all of our favorite travel bags here! 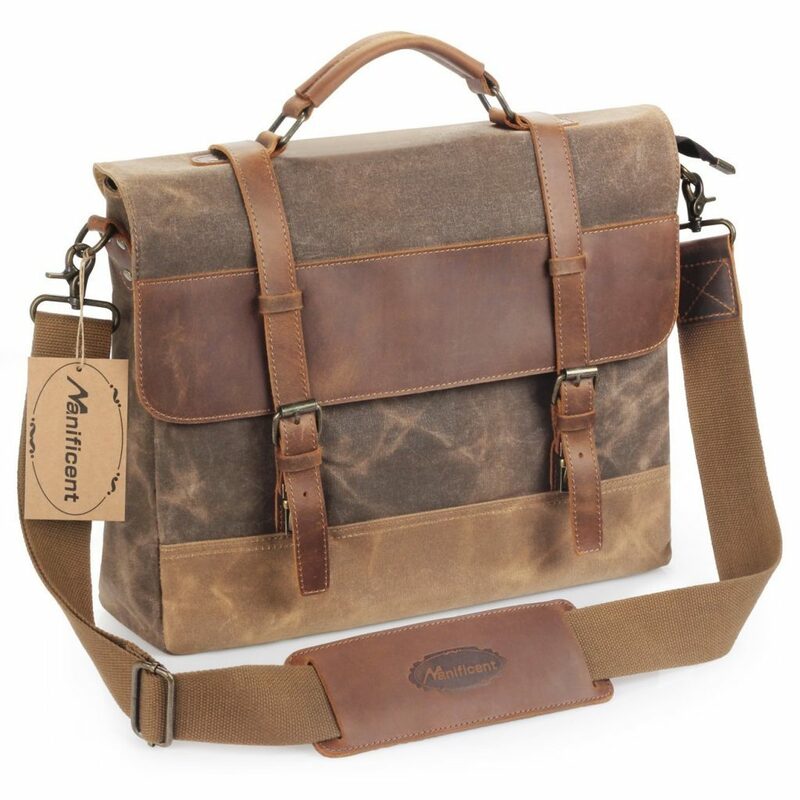 You’re going to be going on plenty of safaris while in Namibia so make sure to dress the part with a classic safari bag! You won’t need very much with you when cruising around looking for wild animals – just your camera, binoculars, and a water bottle – so this bag can easily fit everything you need without weighing you down. It’s a good idea to purchase a SIM card from MTC for all of your data needs during your trip. Data is incredibly inexpensive (about $4 USD for 1 GB) and easy to purchase in most grocery stores. But while MTC has the best coverage of all of the service providers, you’ll often be without service in more remote areas. So it’s a good idea to bring a travel guide and several maps along, just in case. And don’t forget to read about our favorite places in Namibia! Keeping all of your electronics charged while camping and road tripping can be incredibly challenging. While most campgrounds offer electricity at each site you don’t necessarily want to leave your phone or camera battery charging outside all night. And surprisingly we couldn’t find a car charger in any stores anywhere in Namibia! 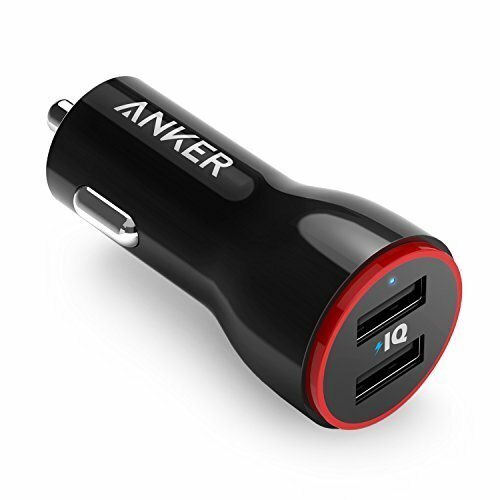 So be sure to pick up one of these Anker dual chargers before your trip. And don’t forget to read all of our tips for renting a car in Namibia! If you’re coming from the United States, you won’t be able to charge your electronics without a converter. 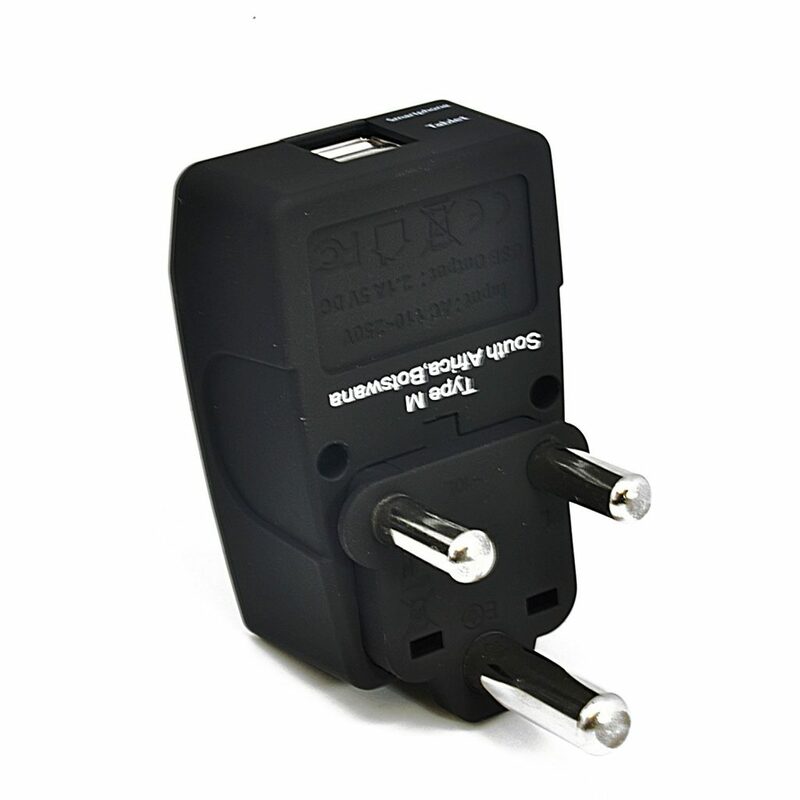 And most regular travel adapters don’t have an option that will work for Namibia and South Africa. 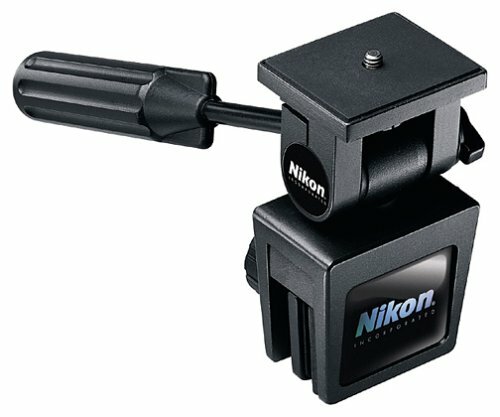 Be sure to pick up a converter that is specific for this region prior to setting off. You’ll likely be using Google maps on your phone constantly throughout the day to find your way around. And nothing drains your battery as quickly as your GPS. 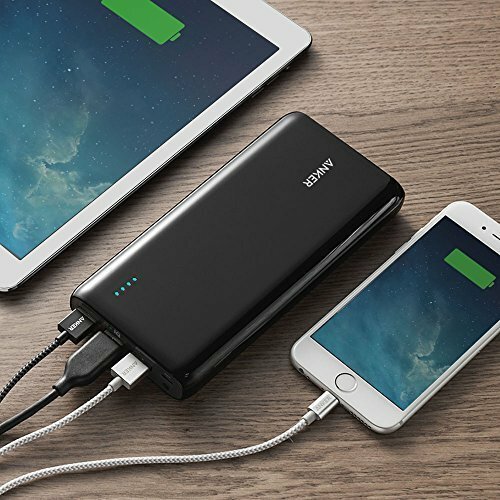 Make sure your phone stays charged all day with this power bank by Anker. It has 3 charging ports and can charge most phones over 6 times! While many campgrounds offer lighting you’ll still want to have a headlamp for setting up and taking down your tent, cooking after sunset, and finding your way to the toilet in the middle of the night. 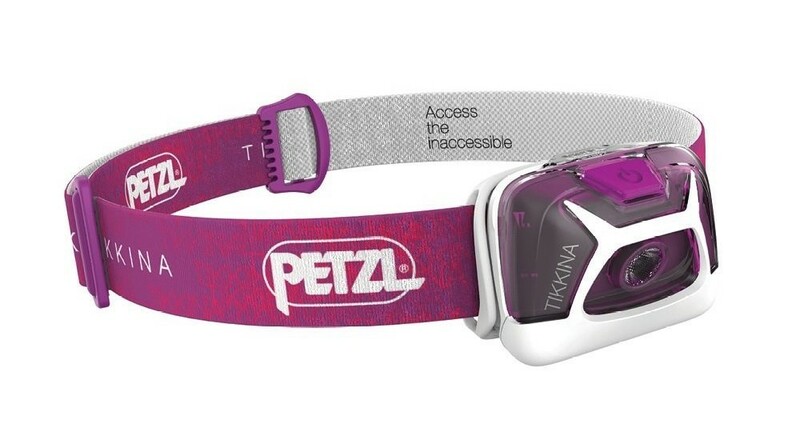 We love our Petzel headlamps but any headlamp should do the trick. 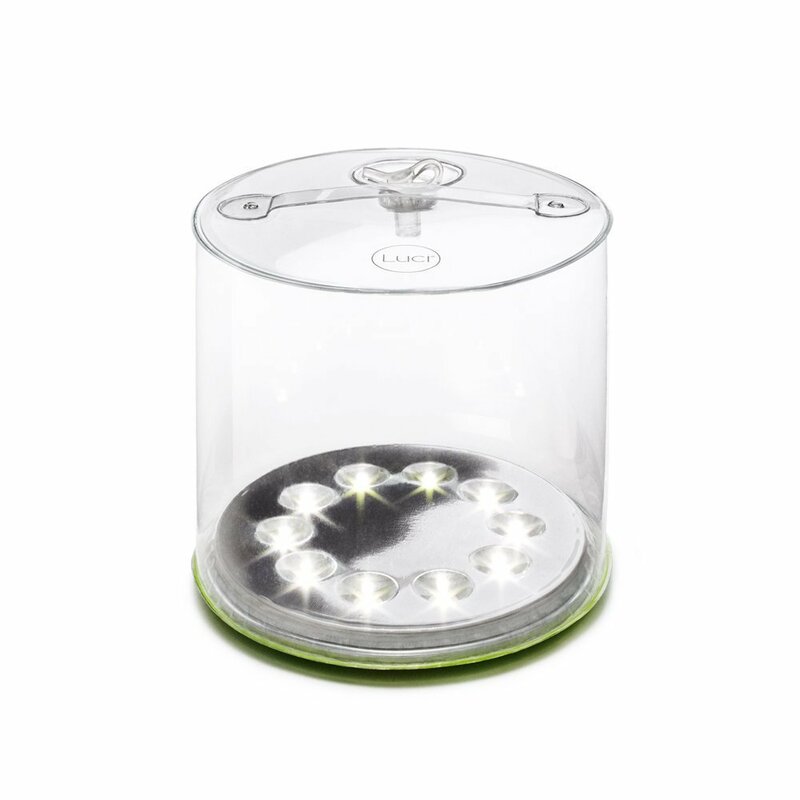 We love taking Luci Lights on camping trips because they are super lightweight, pack down small, and are solar powered so they’re easy to charge on the dash while you’re driving. Hang them around your campsite or in your tent to keep you illuminated after the sun goes down. Don’t forget to download offline maps of the regions you’ll be visiting in Namibia! Download a few of our favorite podcasts to keep up with the news and to keep you entertained during your long drives through Namibia’s expansive landscapes. Or get a subscription to Amazon Audible for access to a huge selection of audio books. You’ll be able to spot plenty of antelope near the road in Etosha National Park. But many of the more elusive animals can be difficult to spot without the help of binoculars. 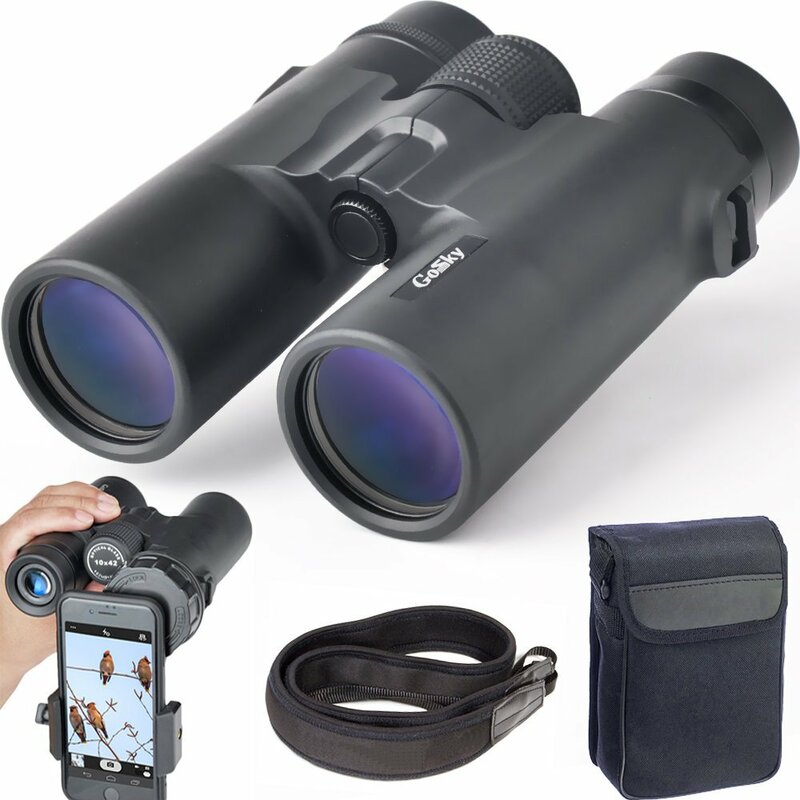 This set by Gosky has 10X power magnification and even includes a smartphone mount so you can snap photos of your findings. You’ll want to bring a camera to Namibia that has a good zoom lens for taking wildlife photos. 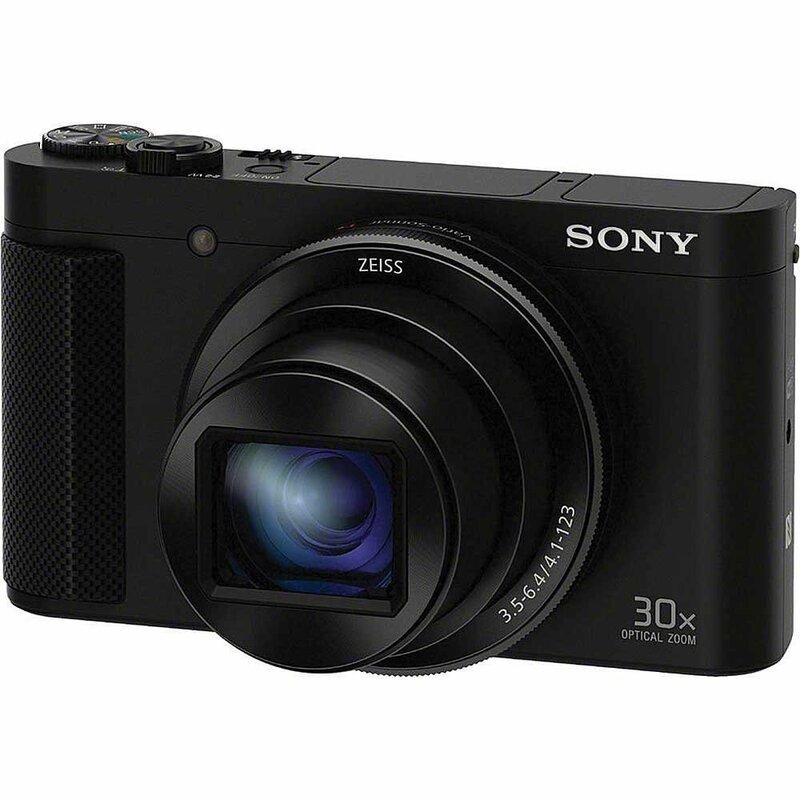 The Sony DSCHX90V has a 30x optical zoom range, a pop-up electronic viewfinder (perfect for taking photos in bright sunlight), and it has a built-in GPS receiver to record the location of your photos. You aren’t actually supposed to get out of your car while doing a self-drive safari in Etosha National Park so the best way to steady your hand it to invest in a window tripod mount for your car. All of the campsites that we recommend in Namibia have shower facilities and you’ll absolutely love taking a shower at the end of the day to cool down and de-dust yourself. 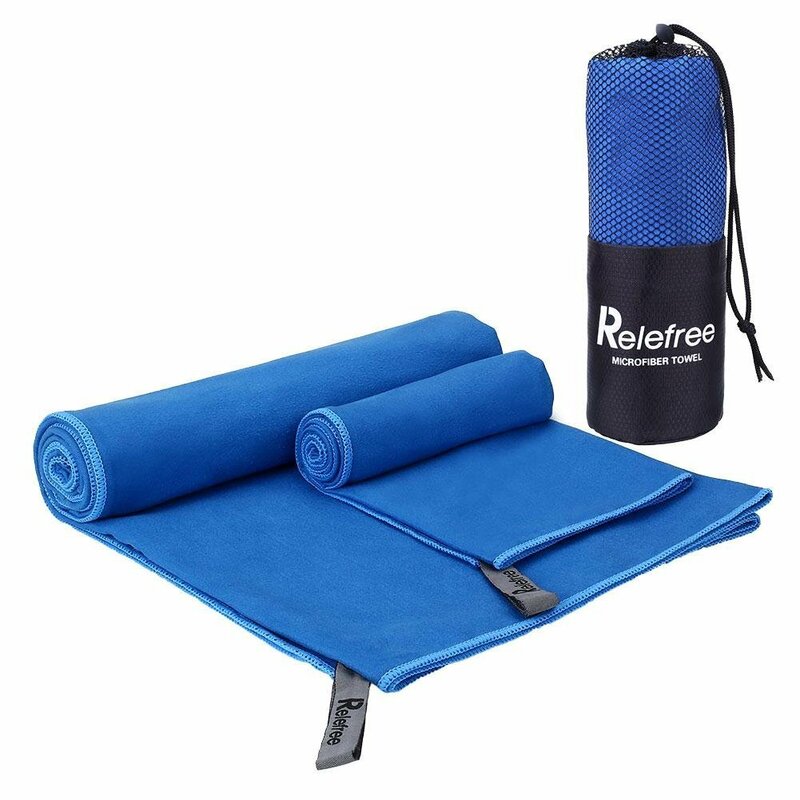 Invest in a compact and quick-drying towel for drying off and also for lounging by the pool! Finding laundry facilities in Namibia is quite challenging. Some campsites have drying lines so that you can wash your clothes in the sink and leave them out to dry. But it’s rare that you’ll spend enough time in one spot to allow your clothes to dry completely. Better to pack enough so that you can wait until you get home to do laundry. 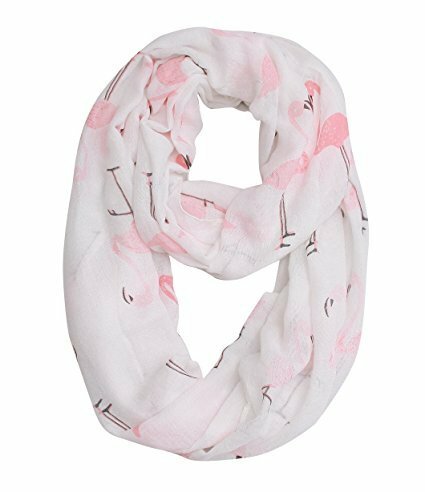 It is very dusty in Namibia so you may want to have a scarf on hand to protect your nose and mouth. This is especially useful on safaris where the trucks are completely open or while riding quad bikes through the sand dunes. Speaking of sun protection, don’t forget to pack your sunglasses! Pick a polarized pair with UV protection to keep your eyes shielded from the rays. Don’t forget a sturdy case to keep them safe in your carry-on. Expect to have a sweaty, dusty, and exhilarating time exploring this spectacular country!